Kiyoshi A. Takamatsu is Arianespace’s Japan Representative. 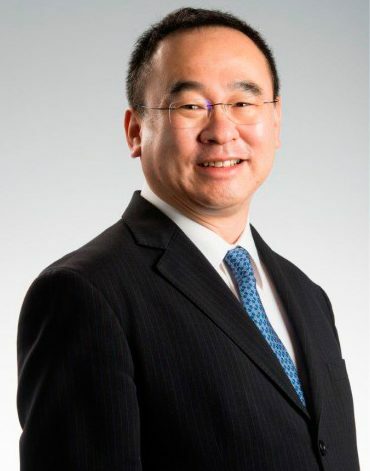 He heads the company’s Tokyo Office, whose roles are to manage relations with Japanese customers, government ministries and agencies, satellite makers and other space industry companies. He graduated from the Institute of Space and Aeronautical Science of the University of Tokyo in 1981 with a Master of Engineering degree in structural dynamics of launch vehicles. Before joining Arianespace, he spent 11 years in the aerospace division of Fuji Heavy Industries, where he was a project manager for various space programs. He joined Arianespace in 1992 as a liaison engineer at the Tokyo Office. He then served as Deputy Representative from 1988 until his promotion to Japan Representative and Head of the Tokyo Office in 2008. He was awarded the French “Officier de l’Ordre National du Mérite” honour in December 2014.